Start Time: 7.00pm AEST | 9.00pm NZSTDespite Brexit, the London accounting finance job market has remained very healthy for Aussie and Kiwi professionals. Who employed Australasians accounting finance professionals in London last year? What impact will Brexit have in 2019? 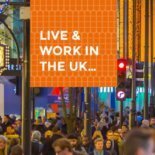 How was the London job market in Q1 2019? Find out, join our next free webinar or listen to our latest podcast. Start Time: 9.00pm NZDTThis webinar is presented by a consultant from our Doha-based client in Qatar. 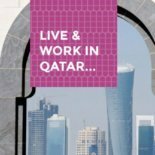 It provides an overview of the current healthcare system in Qatar, health challenges the country faces, and the type of programme and project management skills needed to overcome these challenges. Start Time: 7.00pm AEDT / 9.00pm NZDTWho employed Australian and New Zealand lawyers in London last year? 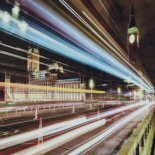 What is the likely short-term impact of Brexit and what are prospects for Australasian lawyers in London beyond that. For the latest insight, listen to this FREE 30-minute podcast. Start Time: 7.00pm AEDT / 9.00pm NZDTWork in London, Play in Europe! 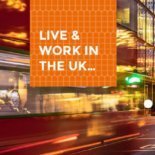 Ask Aussie and Kiwi professionals about finding a job in London and they will tell you to “Just do it, don’t miss an experience of a lifetime opportunity”. Learn what you need to know before you go! Request a copy of our FREE Podcast or join our next webinar. Start Time: 10:00pm Johannesburg SAST | 9:00 pm London | 08.00am NZDTDrawing on experience gained from helping British, South African and expat Kiwi accountants find accounting jobs in New Zealand, this webinar provides advice for people thinking about making the move. Start Time: 9:00pm NZDT 7:00pm AEDTLast year, marketing communications professionals from Australia and New Zealand landed a diverse range of jobs at blue-chip brands like Barclays, Bloomberg, Harrods, Natural History Museum, Samsung, The Economist and more. 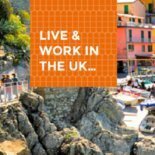 Start Time: 9:00pm NZDT 7:00pm AEDT UK job market updates, tips and contacts for HR professionals from Australia and New Zealand interested in working in the United Kingdom. Presented by Oakleaf Partnership, the largest specialist HR recruiter in the UK, join this free webinar to hear latest from the London HR job market. 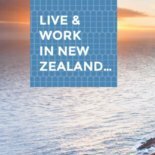 Start Time: 7.00pm AEST | 9.00pm NZSTMost Australian and New Zealand professionals heading to the United Kingdom for overseas experience start their working life by contracting. 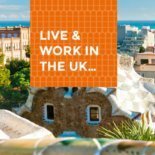 This free webinar provides an essential insight into contracting in the UK. It summarises what you need to know before you depart, and what you need to sort out before you arrive. To learn what you need to know before you go, join this free webinar!